I'm always about that white-on-white (-on-white-on-white). I just came back from the most relaxing getaway in Palm Springs and I've two days in Los Angeles before I fly elsewhere again. I feel like I'm always traveling; my friends call me Carmen Sandiego, haha. This is going to be a short post because I've only just begun staving off the jetlag of London and the lazy vibes of Palm Springs and I need to hustle to get my affairs in order today. I'll catch y'all on the flip side. The next time we meet, I'll be in the midst of a super fun project; can't wait to share! 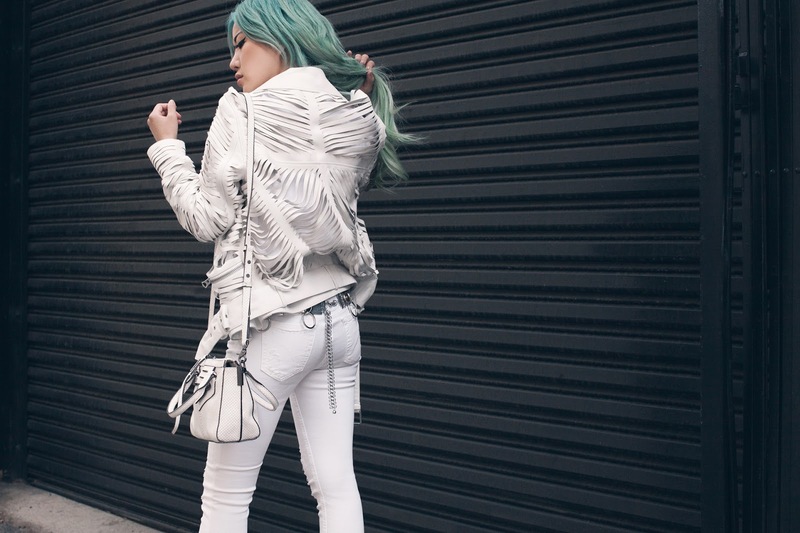 white outfits match so well your hair color, I love your jacket! White on white outfits are so cute but much better suited to sunnier weather, not so much rainy england! Beautiful pure but edgy look babe! I love these platforms too. What a rocking summer look! 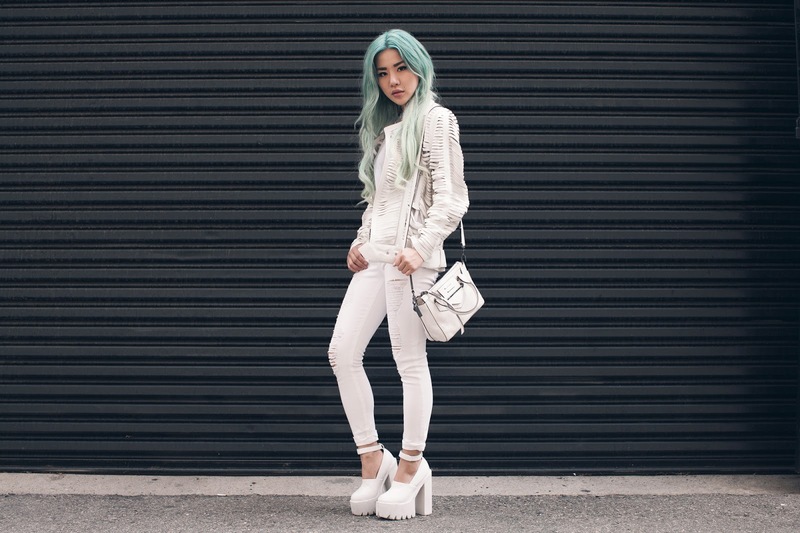 So in love with how your hair looks against an all white outfit. Such beautiful textures in your outfit, too! Love this look...but paying 44$ for a simple white crop top is just...crazy. Looking awesome in all white! Ohh my goodness the jacket is SO amazing!! Loving this whole look! Stunner! And those shoes are everything! AMAZING outfit, totally loving your style! Wow, that jacket! Great look!